The Office of Cancer Genomics is proud to regularly support internship programs including The Health Communications Internship Program (HCIP). A postdoctoral fellow at St. Jude Children's Research Hospital, Kathryn Roberts is working to understand the genetic basis of childhood high-risk acute lymphoblastic leukemia (ALL) through the use of high-throughput genomics technologies. She conducts her research in the laboratory of Dr. The Cancer Target Discovery and Development (CTD²) network was assembled by the Office of Cancer Genomics in September 2009 as an American Recovery and Reinvestment Act - (ARRA) funded pilot program aimed at developing new scientific approaches to accelerate the discovery of cancer therapies. Dr. Daoud Meerzaman, Director of Research and Development at the NCI Center for Bioinformatics and Information Technology (CBIIT), is the NCI Bioinformatics Lead Investigator for OCG's TARGET kidney tumor project. In the following article, Dr.
A Synopsis of "From Cancer Genomes to Oncogenic Drivers, Tumor Dependencies and Therapeutic Targets"
Whole-genome screening of tumors is improving our understanding of different cancer types and how best to treat them. However, a major remaining challenge is to identify which of the alterations in the cancer genome are amenable to therapeutic intervention. The Office of Cancer Genomics is proud to regularly support internship programs including The Health Communications Internship Program (HCIP). This past July the OCG welcomed a new HCIP intern to a one-year appointment. 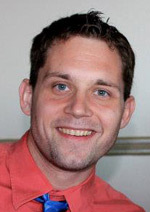 Gene Gillespie earned his Ph.D. from UCLA in 2011 and is interested in pursuing a career in science and medical writing. 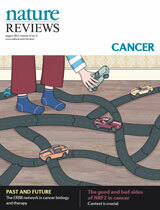 He presents a few personal and scientific thoughts on cancer in this month’s eNews perspective. “All normal cells are alike; every cancer cell is cancerous in its own way,” said my first year rotation mentor in graduate school. The quote recalls the opening phrase of Leo Tolstoy's masterpiece Anna Karenina, which begins, “Happy families are all alike; every unhappy family is unhappy in its own way.” My rotation mentor was particularly interested in the unhappy family of a cancer called glioblastoma, the most malignant human brain tumor. Though this was my first experience with cancer research, cancer and I first met in Pune, a large Indian metropolis about 100 miles southeast of Mumbai. The wedding was three weeks away and we were all scrambling to get our visas and our anti-malarial drugs. Everything indicated it would be a grand affair, replete with delectable Indian delicacies and resplendent ceremonies extending over the course of several days. My sister and soon-to-be brother-in-law were navigating the dizzying array of preparations that are part and parcel of a wedding. It was then that my brother-in-law noticed a pain in his abdomen and decided to have it checked out by a doctor before making the trip. The eventual diagnosis was desmoplastic small round cell tumor, an extremely rare sarcoma with overall survival rates less than 20%. The next six years were marked by partial tumor regressions and then eventual advancement when the tumor developed resistance to the chemo drugs. The strange language of cancer started to be spoken within our family, as it has been in so many others. These were words like debulking and multimodal therapy, such seemingly benign terms obscuring a haunting reality. My brother-in-law died in 2009, but I will never forget him and what he taught me about persisting in the face of impossible odds. I feel lucky to have been granted some more time with him. He and my sister are probably the two kindest people I have ever met, but as I learned, cancer does not discriminate. At this point, I decided that I would study cancer after I finished my graduate degree in microbiology. As I was searching the internet for options, I was lucky enough to stumble upon the Health Communications Internship program of the National Cancer Institute. The program was perfect for me in that it combined my interests in cancer research and scientific writing. After declining an internship in 2010 to finish earning my Ph.D., I was accepted as an intern in the Office of Cancer Genomics (OCG) in July 2012. Thus far, the internship has been a crash course in both cancer genomics and scientific communications. I am excited to be working with a diverse team of talented individuals in developing content for both the newsletter and the OCG website. My particular focus will be the Cancer Target Discovery and Development (CTD²) program. CTD² aims to translate genomic characterization, which has been supported largely by The Cancer Genome Atlas and OCG's TARGET and CGAP/CGCI, into functional understanding of aberrant cancer pathways and clinically relevant therapeutics. Though my graduate work in the laboratory of Ken Bradley at UCLA was on host-bacterial pathogen interactions, I am finding that my experience in high-throughput small-molecule and siRNA screening dovetails perfectly with the translational aspect of OCG embodied by the CTD² program. My goal then was to find novel targets and therapies for anthrax. In some ways, it was TD² without the C.
My belief is that providing efficient and compelling communication will advance the mission of curing cancers. I look forward to sharing with you the progress and challenges of the cancer community, in the hope that this information will aid this noble cause. Shannon Behrman, Ph.D., Gene Gillespie, Ph.D., & Jaime Guidry Auvil, Ph.D.
A postdoctoral fellow at St. Jude Children's Research Hospital, Kathryn Roberts is working to understand the genetic basis of childhood high-risk acute lymphoblastic leukemia (ALL) through the use of high-throughput genomics technologies. She conducts her research in the laboratory of Dr. Charles Mullighan, a lead scientific investigator participating in OCG's Therapeutically Applicable Research to Generate Effective Treatments (TARGET) program. As part of a TARGET research collaboration, Dr. Roberts is elucidating the mutation spectrum of one subgroup of high-risk leukemia, Philadelphia chromosome-like ALL (Ph-like ALL), to find diagnostic markers and therapeutic targets that have the potential to improve treatment outcome. Recent findings from this collaborative project were published in the August issue of Cancer Cell. OCG e-News interviewed Dr. Roberts to learn more about these results and the future directions of her research. To read the Roberts et al. paper, click hereOpens in a New Tab. What is Philadelphia (Ph)-like ALL, and what makes it a high-risk cancer? Ph-like ALL is a subset of leukemia in which leukemia cells lacking the Philadelphia chromosome exhibit a gene expression signature similar to that seen in cells harboring the Philadelphia chromosome (Ph+ ALL). The Philadelphia chromosome arises from a translocation of chromosomes 9 and 22, resulting in the fusion of two genes, BCR and ABL1, at the breakpoint. Ph-like ALL accounts for up to 15% of high-risk childhood B-progenitor ALL, which makes it three times more prevalent than Ph+ ALL. Ph-like ALL patients are clinically designated "high-risk" based on two main factors: (1) the disease presents itself at an older age as compared to the average age for pediatric ALL, and (2) patients exhibit high white blood cell counts at diagnosis. In addition, children with Ph-like ALL experience a higher rate of relapse compared to other subtypes of B-ALL. Can you describe the novel genetic alterations that you discovered in Ph-like ALL? How do they compare to previously identified mutations present in childhood ALL? Previous studies over the last several decades have identified gross cytogenetic abnormalities, such as the Philadelphia chromosome, MLL rearrangements, and hypodiploidy, in approximately 75% of pediatric ALL patients. Within the last several years genomic profiling identified additional genetic alterations in pediatric ALL, including CRLF2 rearrangements, JAK mutations and alterations of the lymphoid transcription factor, IKZF1, which are strongly associated with a higher risk of relapse. CRLF2 rearrangements are found in approximately 50% of Ph-like ALL cases, whilst IKZF1 mutations are found in a majority. We sought to identify additional alterations in Ph-like and other high-risk pediatric ALL patients in this TARGET ALL study, to hopefully find specific diagnostic markers and therapeutic targets that could lead to improved treatment and better outcomes for patients. We discovered that Ph-like ALL has quite a heterogeneous range of alterations, including chromosomal rearrangements and sequence mutations, all of which affect cytokine receptor or tyrosine kinase genes. Particularly exciting is the fact that the cytokine receptor and kinase lesions may be targetable with existing drugs, such as tyrosine kinase inhibitors. We also found the Ph-like cases commonly harbored alterations in regulators of B-cell differentiation, including the previously identified IKZF1, as well as EBF1 and PAX5. Can you explain how the alterations discovered in Ph-like ALL could lead to malignant transformation, and how they can be targeted with therapeutics to improve outcome? Several of the altered genes we discovered in the past encode kinases (e.g. ABL1, JAK2). Kinases may be considered an on/off switch for transmitting growth factor signals to the cell and are important for normal processes such as proliferation, survival and apoptosis. In pediatric Ph-like ALL, however, a kinase becomes constitutively active, leading to continual proliferation and survival. We demonstrated that several of these kinase alterations were capable of cancer-like transformation in both cell lines and mouse xenograft models. In addition, we were also able to show that imatinib and ruxolitinib, tyrosine kinase inhibitorsOpens in a New Tab (TKIs) that target the ABL1 and JAK2 kinase signaling pathways respectively, killed cells expressing these alterations and dramatically reduced the leukemia burden in xenograft models. Did you expect that all 15 cases in your discovery cohort would have alterations in the cytokine receptor and kinase signaling pathways? Because Ph-like ALL had a similar gene expression profile to Ph+ ALL (a type of ALL characterized by the constitutively activated kinase, ABL1), we predicted it may have similar alterations in kinase pathways. However, the fact that we found them in the majority of cases was quite striking. The heterogeneity of these alterations was also surprising. We expected to find maybe two or three additional kinase fusions that were highly recurrent, yet many different fusion partners were detected. It is promising that the genetic lesions, including the cytokine receptor alterations, converge on two signaling pathways, the JAK/STAT and ABL1 pathways. Consequently, only two different classes of agents may be needed to target the majority of lesions in these patients. How does the mutation rate in childhood Ph-like ALL compare to other pediatric and adult cancers? Pediatric cancers typically have fewer genetic alterations when compared to adult cancers; not surprising, as genetic abnormalities are believed to accumulate with age. Of the various childhood cancers, leukemiasOpens in a New Tab generally have the lowest number of alterations, especially when compared to solid tumors. With so few abnormalities in leukemia, we predicted the number of fusions detected in Ph-like ALL would be small. Even though we identified more than 1 rearrangement per patient on average, it is important to note that only one fusion per patient likely contributes to their leukemia (i.e. the kinase/cytokine receptor fusions). How many of the alterations found in the discovery cohort were also found in the recurrence testing? We tested the recurrence of the fusions in an additional 230 ALL patients enrolled in COG (Children's Oncology Group) trials by using reverse transcriptaseOpens in a New Tab followed by polymerase chain reactionOpens in a New Tab (RT-PCR) for each specific fusion. 40 of these ALL patients were classified as Ph-like. The EBF1-PDGFRB fusion was present in 3 of the 40 Ph-like cases from the recurrence cohort, and we also identified IL7R mutations in 12% of the Ph-like cases. Two NUP214-ABL1 fusions and an SH2B3 deletion (1 case) were identified in the discovery cohort by SNP array analysis and validated by PCR and sequencing. The low level of recurrence suggests extensive genetic heterogeneity of this ALL subgroup. We have certainly not identified all of the genetic lesions in this recurrence cohort. One caveat to consider is that we may be missing fusions in the RT-PCR assay due to limits imposed by the technology. To meet this challenge, we are sequencing additional Ph-like ALL cohorts by transcriptome (mRNA-seq) and whole exome sequencing to see what new lesions may be present. The ALL project team discovered 5 novel fusions and several rare fusions in patients with Ph-like ALL. Why weren't these genes detected previously? Through advanced next generation sequencing (NGS) technologies such as mRNA-seq and whole genome sequencing (WGS), we are now able to interrogate the tumor genome at a much higher resolution than was possible with traditional cytogenetic and SNP array analysis. We can sequence every base pair of the tumor genome with great precision. By combining NGS with advances in bioinformatic analyses, we can find specific gene rearrangements and very small insertions and deletions at base-pair resolution that could not be previously detected. What are the advantages and disadvantages of using mRNA-seq and WGS? mRNA-seq, which profiles the complete set of mRNAOpens in a New Tab, is an attractive technology because it looks at gene activity and facilitates the identification of gene rearrangements and coding sequence mutations (mutations in genes, the protein-coding regions of the genome). WGS, on the other hand, allows us to investigate the entire genomeOpens in a New Tab at the DNA level, making possible the identification of alterations in non-coding regions that may play a role in cancer by disturbing gene regulation. Additionally, WGS is better at detecting complex mutations and structural alterations than mRNA-seq. We had one case in which no alterations were identified by mRNA-seq, however, WGS uncovered an insertion in IL7R. I think it is necessary to use both approaches in combination to identify the full complement of genetic lesions. This model of comprehensive genomic research will become more easily attainable as the amount of required nucleic acids and cost for both mRNA-seq and WGS continues to decline over time. I think one limitation of current sequencing technologies is the inability to detect absolute transcript levels or very rare mutations. New technologies, such as digital PCR, may be better for that. With several tyrosine kinase inhibitors (TKIs) already being tested in the pediatric clinical trial pipeline, do you think this could accelerate the translation of your findings into the clinic? Yes. TKIs have been or are currently being assessed for toxicity, pharmacokineticsOpens in a New Tab, and safety in clinical trials, and have proven to be safe and effective in a variety of cancers. For example, imatinibOpens in a New Tab (an ABL1 inhibitor) is very effective as a monotherapy in treating adult CML, and improves the outcome of pediatric Ph+ ALL patients when applied in combination with standard chemotherapy. What are you doing next to follow up the findings that childhood Ph-like ALL patients may benefit from TKI therapy? To assign an appropriate treatment, we must first be able to rapidly identify Ph-like patients. Consequently, we are developing two relatively inexpensive diagnostic tests for Ph-like ALL: (1) flow cytometry and (2) gene expression profiling. Flow cytometry is normally used for immunophenotypingOpens in a New Tab patients at the initial clinic visit, but we demonstrated that it can also be used to identify Ph-like patients with activated (i.e. phosphorylated) kinase pathways. Gene expression profiling is another method that can be used to accurately identify patients within this subtype, as we now know the set of genes that show elevated expression in these patients. The Cancer Target Discovery and Development (CTD²) network was assembled by the Office of Cancer Genomics in September 2009 as an American Recovery and Reinvestment Act - (ARRA) funded pilot program aimed at developing new scientific approaches to accelerate the discovery of cancer therapies. Having successfully completed its term as an ARRA initiative, the CTD² network is now a cooperative program funded by the National Cancer Institute (NCI). Here, we examine the impact of the program over the last few years. Characterization of tumor genomes is a major step towards achieving an understanding of cancer biology, but it is insufficient to improve patient outcomes. Cancer genomes are complex, with each tumor containing hundreds to thousands of alterations, but only a fraction have been implicated in a variety of tumor-related processes, including initiation, maintenance, and progression. Only a subset of cancer-associated alterations is important to the context-dependent biology of the tumor and utilizable for diagnostic and therapeutic applications. Employing a systems biology approach to studying cancer allows for such subtleties to be teased apart. This approach also requires that the data derived from using a variety of technologies be integrated to understand fully the significance of cancer-associated changes. The goal of the Cancer Target Discovery and Development (CTD²) initiative is to do precisely that, integrate multi-dimensional cancer characterization data sets with biological validation, and, in so doing, bridge the gap between cancer genomics and cancer therapeutics. The CTD² network aims to extract therapeutic targets and diagnostic, prognostic, and drug response markers from The Cancer Genome Atlas (TCGA)Opens in a New Tab and Therapeutically Applicable Research to Generate Effective Treatments (TARGET) and other data sets. The network is comprised of nine independent centers working together to seek molecular insights into cancer that have translational potential. Each center utilizes a distinct array of advanced technologies and experimental approaches. The network gains power from having both complementary and reinforcing expertise in areas ranging from bioinformatics, chemical genetics, and protein-protein interactions to the development of animal cancer models. The CTD² network encourages a high level of collaboration between participating centers, which allows pooling of resources and data that is not possible when centers work in isolation. Collaborations established during the pilot phase of the initiative arose from centers sharing information, tools, and data. CTD² investigators continue to engage in collaborative efforts toward the common goal of rapidly identifying novel therapeutic targets. The CTD² network continues to work toward enabling rapid development of improved cancer therapies and associated outcome markers through the generation of new datasets, tools, technologies, and insights. Such efforts lay the groundwork for breakthroughs in cancer treatment, such as new clinical trials based on the discovery of drugs linked to specific pathways. Having already made significant strides in a short period of time, the CTD² network holds great promise for improving patient outcomes. Dr. Daoud Meerzaman, Director of Research and Development at the NCI Center for Bioinformatics and Information Technology (CBIIT), is the NCI Bioinformatics Lead Investigator for OCG's TARGET kidney tumor project. In the following article, Dr. Meerzaman reviews network-based analyses and gives a brief introduction to the extensive collection of computational resources that are available to the cancer research community. The purpose of his review is not to endorse one pathway database or network analysis tool over another. Exome- and whole genome-sequencing of tumors has generated exciting new opportunities for researchers to elucidate the etiology of many different cancers. However, teasing out important biological signals from the massive volume of heterogeneous and noisy data has proven to be complicated and cumbersome. This complexity is magnified in cancer research, because, unlike single-gene diseases such as cystic fibrosis and muscular dystrophy, cancer is caused by elaborate networks of altered genes. These genes commonly include oncogenes, tumor suppressors, and regulators of genomic stability. In order to more effectively utilize and interpret the data generated by genomic approaches, the cancer research community has begun shifting their attention from single-gene approaches to network-based analysis. Molecular networks, an extension of the concept of simple canonical biologic processes or pathways, capture the multidirectional interaction between genes, their products, and their environment. Network-based analysis allows researchers to go beyond individual genetic alterations to predict sets of genes that may be contributing to certain cancers. By expanding insight into cancer biology and tumor-specific vulnerabilities, network analysis offers a great deal of promise for improving cancer diagnosis and treatment. There are many different approaches to network analysis, but almost all begin with an input of molecular measurements (such as gene expression or mutations) and databases of cohesive, annotated representations of biological pathways or networks. Pathguide (www.pathguide.orgOpens in a New Tab) is a repository of over 300 biological pathway and molecular interaction-related databases that have been manually curated from scientific literature or computationally derived from large-scale whole-genome experiments. See Table 1 for a small sampling of pathway databases, as well as computational methods for de novo network inference. User-friendly network analysis tools provide researchers an automated means of identifying candidate sets of genes or networks that are disrupted in various cancer types using one or multiple sources of genomic data. Refer to Table 2 for an abridged list of some of the most commonly used tools. One classic example is the Gene Set Enrichment Analysis (GSEA). GSEA is a software program that determines clusters of genes that exhibit significant changes in activity under certain conditions, such as cancerous growth. GSEA has been used to identify networks of interest in many cancers. Tools that analyze single genomic datasets, like GSEA, help researchers elucidate various aspects of tumor biology, but they are limiting for researchers that have multiple types of large-scale genomic data. To overcome this challenge, researchers have recently adopted multi-dimensional tools that can be used to cross-analyze genomic data. These novel and exciting methodologies integrate multi-dimensional molecular characterizations, including differential expression, mutations, copy number variation (CNV), loss of heterozygosity, and DNA methylation, thereby contributing to a more detailed understanding of cancer. One of the most commonly used multi-dimensional tools is Pathway Representation and Analysis by Direct Reference on Graphical Models (PARADIGM). PARADIGM is a software analysis tool that integrates large-scale genomic data with canonical pathway information to provide patient-specific information on altered networks. Using this unique methodology, researchers successfully classified glioblastoma multiforme (GBM) patients into specific subtypes with different survival outcomes. Additionally, PARADIGM was used to integrate CNV, gene expression and methylation data from The Cancer Genome Atlas's (TCGA) study on colon and rectal cancer and revealed that MYC transcriptional targets are changed in these tumors regardless of their anatomical region or mutation spectrum. Researchers using PARADIGM in the ovarian TCGA project reported that the over-expression of transcription factor FOXM1 and its proliferation-related target genes, AurB (AURKB), CCNB1, BIRC5, CDC25, and PLK1, were not a result of copy number changes, but rather due to changes in transcriptional regulation. These types of discoveries exemplify the importance of using multi-dimensional approaches to investigate complex diseases like cancer. Overall, these comprehensive integrative analyses set the stage for novel approaches to cancer treatment, in which aberrant networks and genetic alterations are detected and effectively targeted with therapies. user-friendly software that analyzes single genomic datatype like mutation, expression, or copy number alterations (CNVs), to find altered pathways and networks in affected cells. user-friendly software that integrates multiple genomic datatypes, such as mutation, expression and CNVs, to find altered pathways and networks in affected cells. software that allows the visualization of "molecular interaction networks and biological pathways and integrating these networks with annotations, gene expression profiles and other state data." Whole-genome screening of tumors is improving our understanding of different cancer types and how best to treat them. However, a major remaining challenge is to identify which of the alterations in the cancer genome are amenable to therapeutic intervention. In their June 2012 article in Nature Reviews Cancer, Cold Springs Harbor scientists Cheryl Eifert and R. Scott Powers explore the approaches being used to translate vast genomic datasets into molecular insights and novel therapies. Importantly, the authors highlight strengths and weaknesses of each approach, underscoring the value and utility in integrating them to combat cancer. Cancer was long viewed as a single disease that could only be treated with non-specific cytotoxic agents. However, the advent of the genomics era has revealed that cancer is actually hundreds of different diseases. Cancer researchers have now embarked on the task of determining which alterations and gene networks are driving initiation and progression in different types of cancer, thereby opening the door to the development of targeted cancer therapies. This approach is already beginning to yield tangible clinical results. COMPUTATIONAL APPROACHES: A variety of programs predict which genes are responsible for a cancer phenotype based on analysis of frequently mutated gene networks, mRNA expression patterns, missense mutations, copy number alterations, etc. This list of candidate genes helps inform a more focused approach in identifying and functionally validating molecular targets as well as improving tumor classification. CROSS-SPECIES COMPARISON: Comparative genomics approach in which mutations/alterations in the human cancer genome are compared to those in a corresponding animal model. Mutations that are present in the same disease in both mice and humans are more likely to be therapeutically relevant and can therefore be triaged to the front of the line for further testing. INSERTIONAL MUTAGENESIS SCREENING: Transposons can be mobilized in somatic cells at frequencies high enough to cause cancer. By subjecting cells to random insertional mutagenesis and screening for transformation, it is possible to identify novel genes and pathways that participate in cancer. This provides an unbiased approach for identifying novel gene/s involved in tumor initiation and persistence. WHOLE-GENOME LOSS-OF-FUNCTION SCREENS: RNA interference (RNAi) utilizes small RNA molecules to specifically target genes for silencing. This approach allows comprehensive functional testing for novel driver mutation genes and synthetic lethal genes. CANCER GENOME-FOCUSED SCREENING: Whole-genome sequencing has revealed many genes that are frequently mutated in certain cancers. Cancer genome-focused screening utilizes gain and loss-of-function tools to directly assess the relevance of the genes that are most altered in a given cancer type. Eifert and Powers highlight how each of these methods has already contributed to the translation of cancer research. Their evaluation of each of the approaches, especially their discussion of strengths and weaknesses of each, provides a powerful rationale for the multi-pronged approach being taken to translate genomics into therapeutics. The authors are optimistic about the potential of these complementary approaches, but also encourage the research community to take active steps to improve these methods in the near future. They issue several challenges to the labs performing the research. They charge the computational scientists with going beyond gene network construction to identifying drivers, passengers, and tumor dependencies. Functional genomics researchers will need to expand from “functionally testing all simple pairwise relationships... to envision ways to functionally assess more complex modes of interaction,” since many gene alterations function in the context of their genetic background. One important step is the recent initiation of collaborative programs that allow refinement and integration of these methods. Developing the potential of each of these five approaches will likely accelerate the discovery of oncogenic drivers and tumor dependencies, thereby providing an opportunity for development of more precise medicines. “In the future, once more therapeutic options are available, it will become increasingly important to use genomic information about a patient’s specific tumor to guide the selection of specific treatment. Along these lines, the recent creation of databases that link genomic characterization of cancer cell lines with that of response to cancer drugs serves as a harbinger of things to come,” Eifert and Powers conclude.